IPTV And Metadata: What Does The Future Hold? In today’s media landscape, consumers not only have a large variety of choices when it comes to the content they are able to view, they also have a wide variety of choice in the way that they can physically watch that content. Before the computer became a ubiquitous home accessory, individuals were limited in how, when, and where they were able to consume media broadcasts. For decades, if people were not in their homes when a particular show came on television, they simply missed it. This issue was relieved somewhat with the introduction of the VCR and the ability for people to record programs, however, people were still forced to view media on a large, stationary television. As we all know, this way of watching shows and movies no longer applies to a large number of people. Increasingly, people are viewing media content on mobile devices and computers and foregoing the television set all together. While IPTV has been around for a while, it is only quite recently that the hardware has caught up with the software allowing people this freedom. 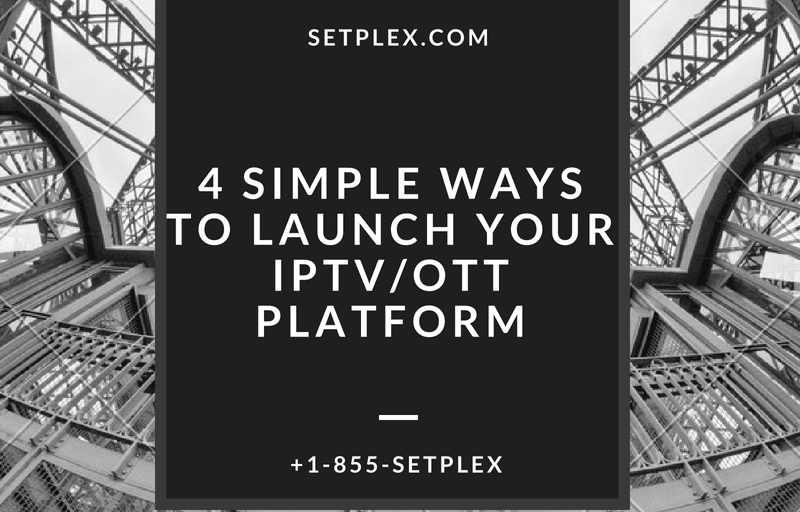 In today’s post, we here at Setplex wanted to take moment to talk about another facet of IPTV that is quickly becoming the most important aspect of the entire industry. What do Your Viewing Habits Say About You? Through the extensive gathering of data on users and subscribers, IPTV companies have compiled massive amounts of data about their customers. These companies know what people watch, when they watch it, how long they watch it, what they watch after certain shows, which genres they tend to gravitate towards and multiple other statistics that allow them to better understand a particular user’s preferences. Some providers have gotten so proficient at understanding their clients, that they have started to use their clients’ preferences as a way to decide which shows they should invest in and which shows they should not. By simply studying user data, these companies are literally molding their business practices around consumers so that they can provide the most desirable content to the largest number of people. However, all of this data isn’t just being utilized by providers, it’s also being used by advertisers. Think about the ads that you see on a daily basis. If you’re watching traditional television, the ads probably cover a wide range of services and products, very few of which might actually interest you. Now, take a moment and think about the advertisements you see when you use the internet. We here at Setplex are willing to bet that these ads are much more focused on your interests and, in many cases, actually show things that you are interested in. These internet ads are no coincidence and have been carefully constructed and curated by websites in the hopes that you will click on one of these ads and actually purchase the product. While this practice has been prevalent on the internet for quite some time now, the same contextual ad strategy is starting to utilized by the IPTV industry. Providers want to deliver ads that are specific to a person’s interest because, in theory, people are more likely to purchase something through an ad if it is something that they have interest in. While this is an obvious move on the part of the IPTV industry, IPTV is poised to take even this concentrated advertising strategy a step further. Is Video Metadata the Future? Imagine for a second that you are watching a show at home through your IPTV provider, whatever that service may be. You come to a scene in the show where the characters are enjoying a pizza and, quite suddenly, a small advertisement appears in the left corner of the device you are watching the show on for your favorite pizza place. Whether you find this scenario to be convenient or creepy, we here at Setplex feel that it is the future of IPTV advertising. Increasingly, IPTV providers are using in video context such as the mood of the scene, characters, scenarios, and ascribing meta data to these moments. This metadata can be as specific as placing keywords within the video that describe each moment of the video or can take a broader approach and simply ascribe descriptive keywords to a specific time interval of the video. With this metadata in place, advertisers will be able to run contextual ads in relation to the video being watched, further increasing the chances that a potential customer will click on them. While this practice is not particularly widespread at the moment, it is this blogger’s opinion that metadata is the future of advertising in IPTV. While the majority of the general public is still unaware that video metadata is starting to be utilized for targeted advertising, the widespread use of this practice will begin to make it more known. Who knows, in the not so distant future, a user’s personal data may be used in conjunction with video metadata to create a hyper-specific ad that would really only be an effective ad on the person that is viewing it at that time. Perhaps mobile ads will be tweaked to consider a person’s geographic location, as well as their past purchases and the content of the show they are currently watching to provide an ad that, in any other context, would make no sense to display. Where does this leave the world of advertising is anyone’s guess, however, it cannot be denied that IPTV is the catalyst that was needed to start this reaction. If you would like to learn more about IPTV, IPTV software, or becoming IPTV content provider, please visit our website today to see what kind of services that we offer. At Setplex, we want to share the wonder of IPTV with as many people as possible and we would love to answer any and all questions that you may have. Get in touch with us today to see what IPTV is all about! It is so good blog! This is really an excellent article. Amazing blog and very interesting site information! Thanks. This information helpful for many people and good explanation in detail.